I would like to wish all members of The Company of the Green Man a wonderful Yuletide and a very Merry Christmas. My thanks to everyone for all the contributions and support during 2015. 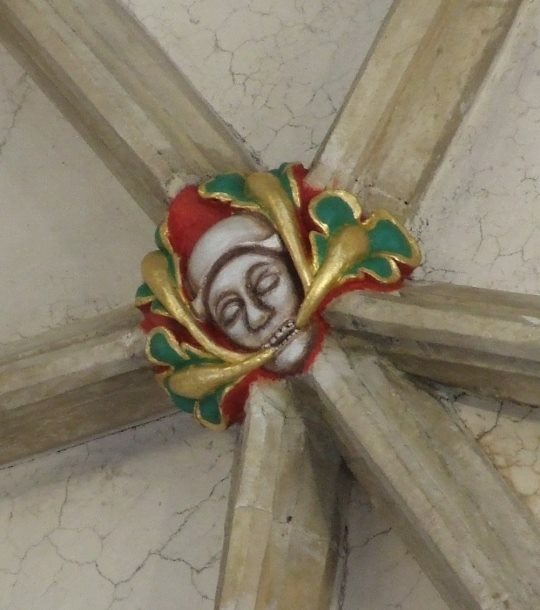 The green man above is from Salisbury Cathedral and I promise has not been edited at all! I’m working on the next e-newsletter and hope to publish it early 2016. This entry was posted on Dec 23, 2015 by Chris Walton. It was filed under Company Notices and was tagged with Green, Green Man, Man, sileby. Thank you and Yuletide greetings to you. We have sent this to a friend of ours who is a guide at Salisbury cathedral.